Kauai Tubing is only offered by Kauai Backcountry, and you can find the best discounts for Kauai Backcountry Tubing through Kauai Discount! Kauai River Tubing from Kauai Discount is fun for the whole family, and Kauai Tubing is the only river tubing in all of Hawaii. Tubing on the island of Kauai offers you a unique way of discovering the exotic island beauty, and by participating on one of Kauai Discount's Kauai River Tubing experiences, you know you'll be receiving the best discounts for Kauai Backcountry Tubing! Kauai Tubing is a new way to practice responsible and fun Eco-Tourism, and by jumping into a Kauai River Tubing raft you'll be creating memories for a lifetime! Tubing on the Island of Kauai is the best adventure around so be sure to reserve your spot today for Kauai Tubing on Kauai Discount. Kauai Tubing will bring a smile to your face in no time! Tubing on the island of Kauai with Kauai Discount will have you exploring the backcountry from the ease of your own tube! Kauai Tubing is great fun for the whole family and is one of the most popular tours on all the islands. This activity books up quickly so do not miss out on this exciting river experience down the old sugar ditches. 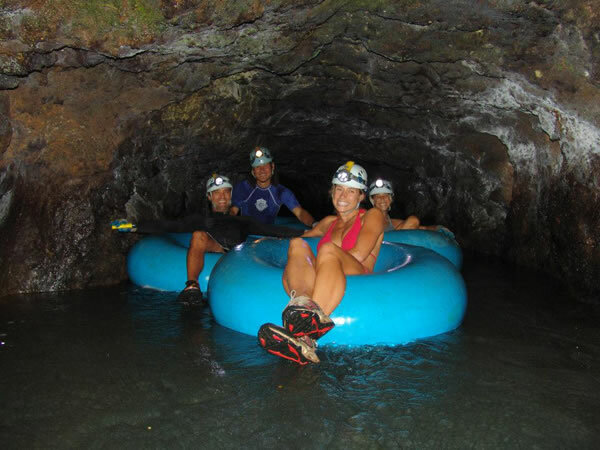 Tubing on the Island of Kauai is good, old-fashioned, clean fun, and the premier way of exploring the historical tunnels and the subterranean sections of Kauai, some of which are never seen by the average tourist! Whether you want a relaxing tour or an adventurous one, when you book a Kauai River Tubing adventure through Kauai Discount, you will always receive the best Discounts for Kauai Backcountry Tubing. 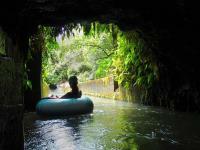 Kauai Tubing is the newest way to see Hawaii! 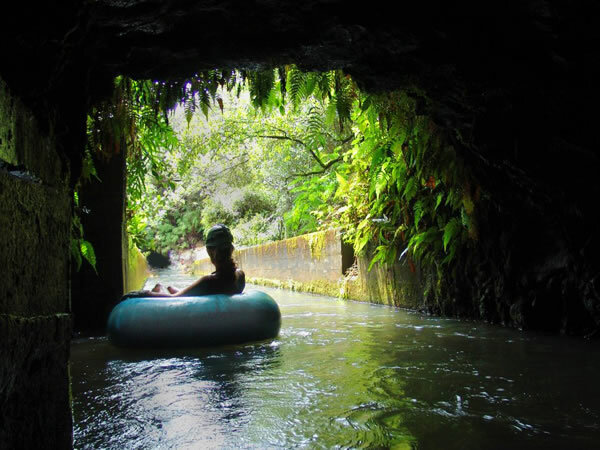 Kauai Backcountry has exclusive access to the tunnels of the sugarcane plantations for the only Kauai tubing on the island. Tubing on the island of Kauai, you will have the opportunity to learn about Hawaiian plantation history as you leisurely float along the canals which made up one of island's busiest plantations. 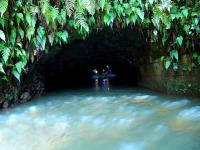 As we follow the canal on our Kauai River Tubing tour, you'll enjoy the vistas surrounding you while we travel the flumes and tunnels of the plantation. 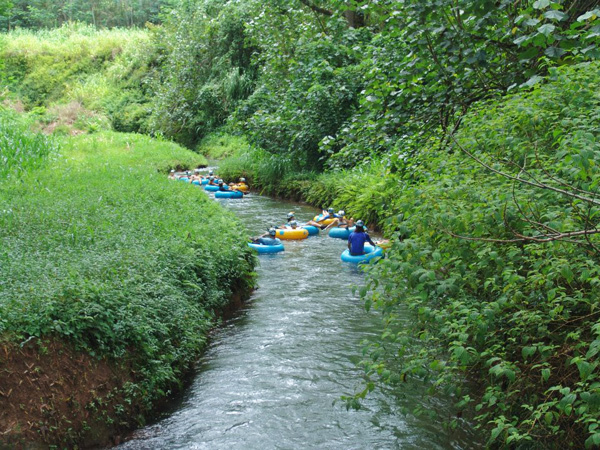 This Kauai River Tubing adventure from Kauai Discount is perfect for all people over five years old, so everyone in your family can participate! Because we are the only vendors offering this unique package, we do ask that reservations be made at least a month ahead of time. Don't forget to use Kauai Discount for the best discounts for Kauai Backcountry Tubing! For incredible Discounts for Kauai Backcountry Tubing, the best place to reserve is through Kauai Discount! If you want to practice the best type of responsible eco-tourism while having the most fun, book a Kauai River Tubing tour with Kauai Discount and save! Tubing on the Island of Kauai is one of the best adventures you can have while on your Hawaiian vacation. Tubing on the Island of Kauai is the most fun for your entire touring group! Kauai Tubing is safe for almost everyone and it appeals to all. Kauai River Tubing offers the best way to learn about Kauai plantation history while getting soaked in your own tube! When booking your Kauai Tubing adventure, remember you will have the lowest Discounts for Kauai Backcountry Tubing when you book through Kauai Discount! Go on a Tubing the Ditch Adventure with Kauai Backcountry and save with Kauai Discount. Go Tubing on the Island of Kauai.